Here is another creation to give variety to your whole 30 diet. 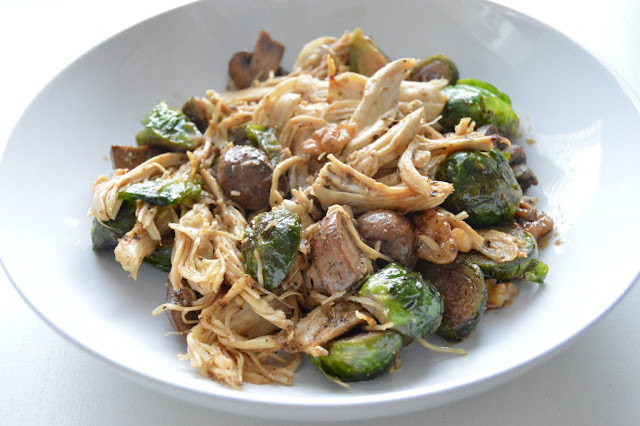 I made a whole bunch of sauteed brussel sprouts and mushrooms along with a bunch of shredded chicken and just kept it in the fridge to take to work for the week. Then each morning, I would mix up some dressing and throw in some walnuts and off to work I went. Here is the Whole 30 Home Made Mayo Recipe. One thing that I have noticed with olive oil mayo is that you have to whisk it a little longer than regular mayo. It seems really lumpy at first and that it’s just not going to smooth out, but just keep whisking as vigorously as you can without spilling and eventually it will smooth out. In a medium sized frying pan, saute your brussel sprouts (halved) on medium heat for about 5 minutes. Add in your mushrooms (quartered) and cook for about another 4-5 minutes unitl mushrooms are cooked through. Add in your cooked shredded chicken and chopped walnuts and toss until hot. Take off the heat. In a small bowl, whisk together your mayo, vinegar, and the rest of the seasonings until smooth. Pour out over chicken mixture and toss to coat everything. 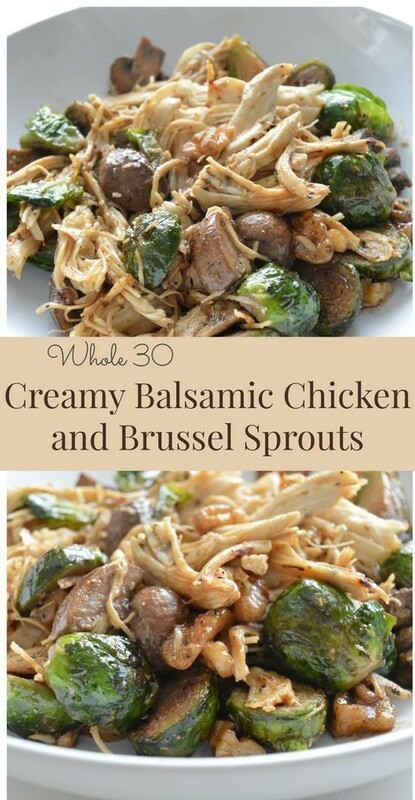 0 Response to "CREAMY BALSAMIC CHICKEN AND BRUSSEL SPROUTS (WHOLE 30)"